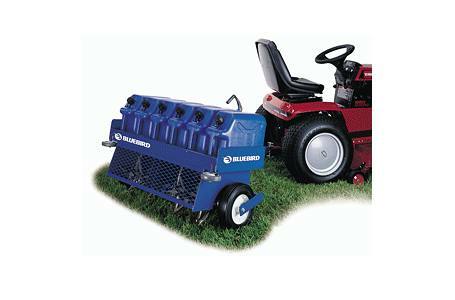 Aerating width: 91.44 cm / 36 in. Aerating depth: 0-76.2mm / 0-3in. Aerating pattern: 111.76x152.4mm / 4.4x6in. Product size, LxWxH: 139.7x114.3x87.63 cm / 55x45x34.5 in. Weight (less fuel/water containers): 86.18 kg / 190 lb. 91.44 cm / 36 in. 86.18 kg / 190 lb.